Boko Haram members killed four farmers in a drive-by shooting in Borno state in Nigeria’s volatile northeast, local vigilantes told AFP Tuesday. The insurgents, riding on motorcycles, opened fire on farmers working in their fields in Ngawo Fato Bulamari village outside the state capital Maiduguri, the epicentre of the eight-year jihadist rebellion. 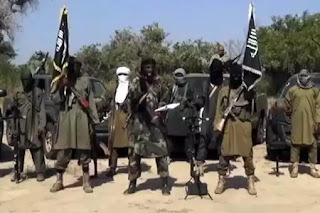 “The Boko Haram gunmen while riding past the farmlands opened fire,” said Babakura Kolo, a member of a militia force fighting the jihadists, of the incident which happened on Monday. “Four people were killed while many have gone missing and our assumption is that they ran into the bush to escape the attack,” Kolo said. A militia leader, Ibrahim Liman gave a similar account, saying at least one of the missing farmers later returned to the village. Last week, a farmer was shot dead while four others were abducted by the Islamists near the town of Konduga, some 40 kilometres from Maiduguri. The victims were among a group of 20 farmers from a nearby village who went to their fields despite a security warning by the military. The Boko Haram violence has claimed at least 20,000 lives while some 2.6 million people have fled their homes since 2009, sparking a dire humanitarian crisis in the region. The displaced rely on food handouts from aid agencies who have had to cut back assistance due to a cash crunch. The situation has forced many displaced people who have missed three crop seasons to return to their farms in liberated areas despite risk of possible Boko Haram attacks.